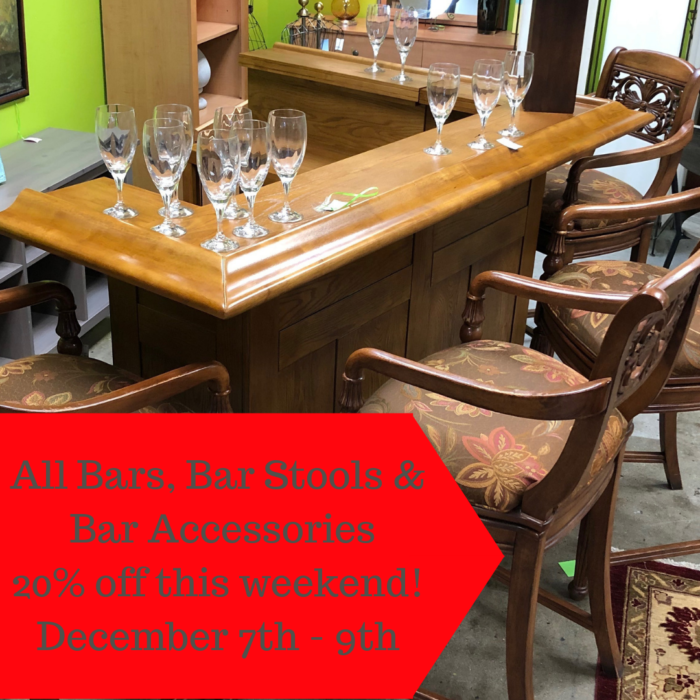 All Bar and Bar Ware on Sale this Weekend! Bar and Bar ware on sale this weekend! 20% off the already low prices. December 7th – 9th. Bars, bar cabinets, decanters, wine glasses. All of it is an additional 20% off. PreviousNew Consignment Furniture at eyedia! NextJanuary 50% Off Rug Sale!